Springtime Greetings! It’s Andy Gesner and the staff from HIP Video Promo, bringing you the first vid of the month: the latest clip from Newcastle’s brilliant Maximo Park. The Geordie quintet has emerged as one of the most interesting and ambitious groups in England – and they’re unquestionably prolific, too. Most bands would be content to rest on platinum laurels for a year or two. But Maximo Park followed the Mercury Prize-nominated A Certain Trigger with a fascinating B-sides, rarities, and demos compilation. And less than two years after their initial album, they’ve returned with a follow-up that realizes the promise of the debut: the intense, whip-smart, and altogether rockingOur Earthly Pleasures. Maximo Park charted five UK singles from A Certain Trigger, hitting the Top Twenty four times. “Our Velocity”, the lead single from Our Earthly Pleasures, is their most successful release yet, breaching the Top Ten, and continuing the group’s ascent to the top echelon of contemporary British rock. “Our Velocity” shares much with the singles from A Certain Trigger: daring, unpredictable songwriting, energetic performances by the bandmembers, and a wide-eyed howl of a lead vocal from one-of-a-kind frontman Paul Smith. 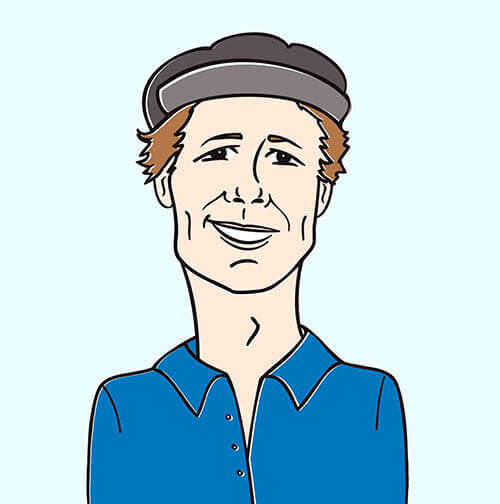 But producer Gil Norton (Pixies, Foo Fighters) has toughened and tightened the sound, and brought out something elemental and undeniable in Maximo Park’s skewed art-pop. The band is as literate and urgent as ever, but there’s a newfound fierceness – and seriousness – to “Our Velocity” and the other songs on Our Earthly Pleasures that seems perfectly calibrated to appeal to fans of Britpop and American indie alike. Over the past three years, Maximo Park has built a reputation as a revelatory live act: they’ve rocked Glastonbury, headlined last year’s NME Awards tour, and will be regular presences at the outdoor summer festivals in 2007. YouTube and other video-sharing sites are filled with clips of Maximo Park in action – singer Paul Smith leg-kicking and chopping the air emphatically with his hands, synth player Lukas Wooller gyrating band twisting behind his instrument, guitarist Duncan Lloyd’s cool reserve, and the poised-but-frenetic rhythm section of Tom English and Archis Tiku locking in and outlining the songs in thick, black magic marker. Video director Nima Nourizadeh (Lily Allen, Hot Chip) could easily have released a clip of Maximo Park onstage, and it would have been more than satisfactory: the personalities of the bandmembers are so distinctive that embellishment has never really been necessary.. But it wouldn’t be very Maximo Park to leave well enough alone; this is a band that’s always looking to explore hidden angles. The Nourizadeh-directed clip for “Our Velocity” does show Maximo Park in performance – but this is no typical concert hall. Instead, they play in a white room flooded with multicolored light. Gels shift rapidly from cool blue to deep red, throwing pastel shadows of drum kits and synth stands on the floor. The camera first catches Smith squatting at Lloyd’s feet, declaiming into a handheld microphone and wearing his iconic bowler hat. Then the camera swings – and finds Smith again, fronting the group. But Nourizadeh doesn’t stop there. As his lens circles the room, we find ourselves moving through a forest of Maximo Park members: seemingly infinite replications of Smith and Wooller and the rest. Each acts differently, independently; finding his place in the music and in the song, singing, dancing, shouting, and losing himself to the rhythm..
It’s a true pleasure to be working again with Simon Halliday and all the musically savvy folks at Warp Records. Maximo Park will be making their way stateside in mid-July, so be sure to keep them on your radar for video interviews! We’ve also been supplied with tons of copies of Maximo Park’s new album Our Earthly Pleasures and other great Maximo Park goodies, so hit us up about contest possibilities and on-air giveaways! If you need more info, call Andy Gesner at 732-613-1779 or e-mail us at info@HIPVideoPromo.com”>info@HIPVideoPromo.com. 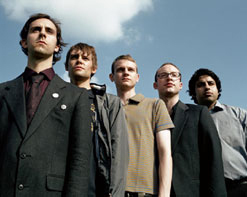 You can also visit www.MaximoPark.com, or www.WarpRecords.com to find out more about Maximo Park.